Art is a passion of mine and is, I believe, one of the most important aspects of any interior. Bringing personality and joie de vivre to a space, a beautiful piece of artwork can help create an atmosphere that really brings your home to life, easily showcasing the details that make you uniquely ‘you’ – even contributing to decisions made regarding colour schemes, lighting and furnishings! The problem many face when incorporating art into their interior is that they simply don’t know where to start, or what will work for their space. Topics such as optimum framing, lighting, hanging and displaying can often draw blank faces, and lead to many avoiding the subject altogether, which is a real shame. On October 20th, I will be hosting a talk to aid in this dilemma, helping you make the most of your favourite works of art. 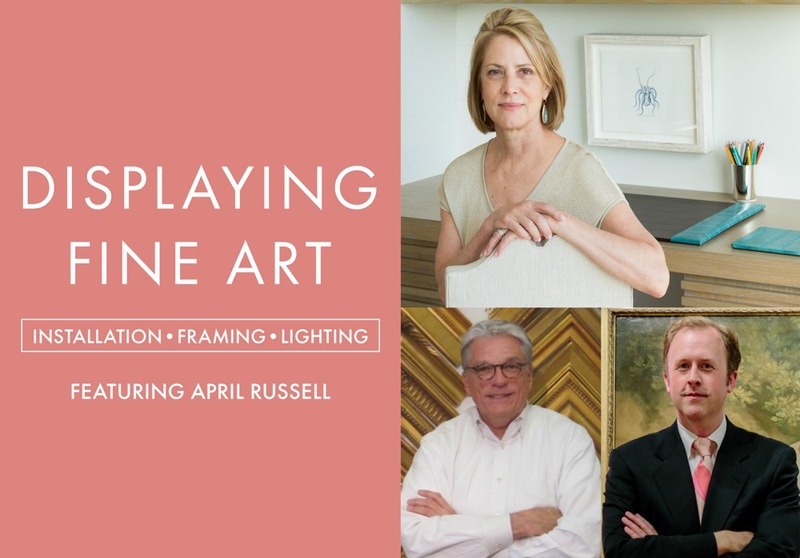 ‘Displaying Fine Art: Installation, Framing, Lighting’ will take place in Atlanta, at the Southeast’s preeminent design center, ADAC. A stunning development, ADAC is a beautiful piece of architecture, and contains 60 showrooms, as well as presentation space. It is within this space that I am holding my discussion, and I would love for you to join me there. Drawing from expertise gained from years spent designing interiors around significant collections of art, my presentation will provide essential insights into displaying and living with fine art. Joining me will be two of Atlanta’s leading art and framing experts, the wonderful Frederick Brooks of Brooks & Black Fine Framing and Spalding Nix of Spalding Nix Fine Art. Together, we will share our knowledge, and facilitate a question and answer session, to ensure you get the most from your visit. ‘Displaying Fine Art: Installation, Framing, Lighting’ opens at 9am for coffee and networking, with the talk itself beginning at 9:30am. You can find more information on ADAC’s website, here and register your interest, here. I’d like to take this opportunity to personally invite you to attend, and look forward to seeing you there! I want to share with you some of the most inspiring finds from the world of interior design, art, architecture and lifestyle.